SANTA FE - Mr. John Joseph Koleng, Sr. passed from this life Sunday evening, March 24, 2019, at his home in Santa Fe. Born January 17, 1947 in Galveston, Mr. Koleng had been a resident of Santa Fe since 1977, previously of Texas City. 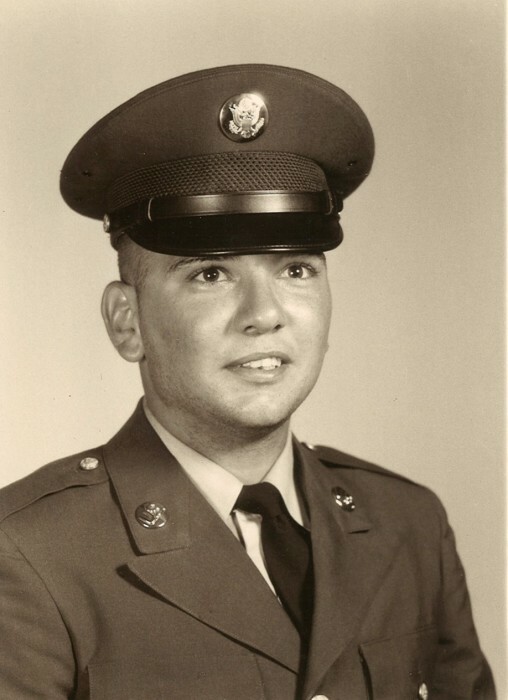 John proudly served his country in the U.S. Army during the Vietnam War and had worked for Southwestern Bell Telephone/AT&T as a coin repair technician and a lineman for 39 years, retiring in 2007. He served as Vice President of CWA Local #6228, enjoyed hunting, raising quarter horses, cooking and good BBQ. He was a longtime member of Our Lady of Lourdes Catholic Church and his passion was remaining close to the people in his community by working as a “demo guy” at Wal-Mart in Alvin. He was preceded in death by his parents, Joseph John Koleng, Jr. and Ida Marie (Cambiano) Koleng; brother, Joey J. Koleng; and grandson, Zac Hammel. Survivors include his loving wife of 50 years, Judy Koleng; son, John Koleng, Jr. and wife, Mary of Austin; daughters, Tamara Marie Koleng of Austin; Stephanie Kay “Ski” Holcomb and husband, Steve of Smithville, MO; grandchildren, Joseph, Marianne, Clay Brown, Jr. and wife, Chaisty, Amber Hammel, Charlie Brown and wife, Ashley, Megan Brown, Logan Brown, Steven Holcomb, Sydney Henderson and husband, Cory, Derrick Holcomb; 13 great grandchildren; sister, Cathy Tanner and husband, Cecil of Santa Fe; sister-in-law, Esther Koleng of Texas City; niece and nephew, Mimi and Tommy; special family members, Jack Elgin and wife, Leslie; goddaughter, Kyleigh; cousin, Carolyn Cambiano, and his beloved poodle, Jocko. Funeral services will be at 10:00 a.m. Friday, March 29, 2019, in the chapel of Hayes Funeral Home, with Reverend John Kappe officiating. Interment will follow at Galveston Memorial Park Cemetery. Pallbearers will be Curtis Donihoo, Jack Elgin, Steve Holcomb, Joseph Koleng, Tommy Smothers and Cecil Tanner. Honorary bearer will be Noel Layer. Visitation with the family will be from 5:00 – 8:00 p.m. Thursday with a vigil beginning at 7 p.m. led by Deacon Alvin Lovelady followed by a rosary led by Devin Kulhanek at the funeral home, 10412 Highway 6, Hitchcock, TX (409) 925-3501. Memorials in the form of donations may be made in John’s name to Harbor Hospice, 11990 Kirby Drive, Houston, Texas 77045.